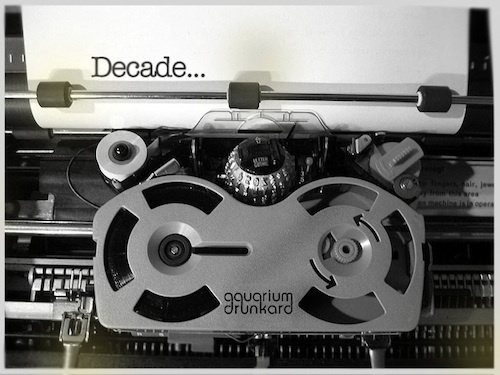 From now through the end of December, Monday through Thursday, AD will feature a post, or posts, from a particular writer detailing their favorite albums of the decade. On a given week there might be one album a writer talks about, there might be six, but they’ll get a chance to have their say on everything that comes to mind. Our hope for you, is that you’ll jump in with your comments on the album selections – tell us why you agree or disagree – and also be exposed to some albums that you may have missed over the last ten years. Now, as the decade starts to wind down, let’s celebrate. While we are still mapping out a genre or sound on which to pigeonhole this decade, the 00s could easily be called ‘the decade of the mash-up.’ But as much as artists like Girl Talk and myriad home-studio producers have carved out their own creations, when I think of that particular art form, one album always comes first to mind: Danger Mouse’s The Grey Album. When Jay-Z (and Def Jam) released an a capella version of his The Black Album with the explicit invitation for people to remix the record with their own beats, a then largely unknown DJ by the name of Danger Mouse took the bait. The results launched him into a career that would net him a Grammy nomination within the next year (for his work on Gorillaz’ Demon Days), work with MF Doom, the Black Keys, and a pairing with Cee-Lo Green to form Gnarls Barkley. Not a shabby decade’s work. But about those results. Danger Mouse drew the music for his Jay-Z re-mix from the Beatles’ self-titled record (a.k.a. The White Album) and built a whole world of amazing samples from it to underpin one of Jay-Z’s best lyrical outings. It doesn’t hurt that Danger Mouse’s source material was so strong, but it’s still no easy feat to essentially remix one group of music to go underneath and match up with another. While the Beatles’ songs are recognizable in snippets, they were, of course, sliced and diced to create an incredibly engaging mosaic. The Beatles’ legal representatives went bonkers and what was originally only a 3,000 copy pressing soon became one of the world’s most infamous albums thanks to the threat of lawsuits and the rather public pulling of the record from the few stores that actually had copies. The Grey Album not only represents a high-water mark in the mash-up field, but a watershed moment for the Internet’s role in music in the ’00s as well. 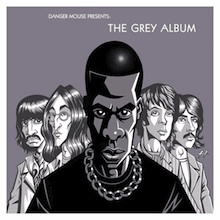 The Grey Album became a highly sought after commodity and people shared it numerous places across the web. Plenty of people shared it for the simple reason of making common cause with Danger Mouse’s artistic freedom and a protest against the overbearing response of the Beatles’ lawyers. I’m the biggest Beatles fan there is but not allowing this out there is frankly incomprehensible. I would love to hear Paul and Ringo’s take on this. I mean, guys your legacy (and royalties) are secure. IS it really necessary to block creativity and the expansion of your work into the 21st Century? Thanks to this to this day I have not heard the Grey album. Can anybody provide a link? After hearing the sanctioned remixed songs for the Cirque du Soleil “Love” show, I think Paul and Ringo would find this especially interesting. This is one of my favorite discs ever, because it remains intellectually challenging for me every time I listen to it.